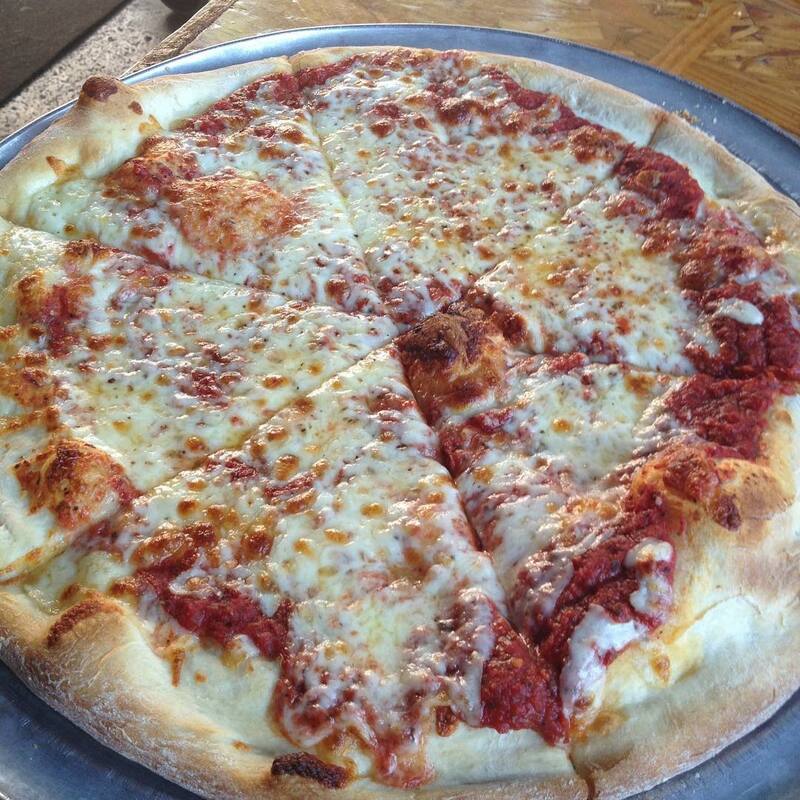 Simple and spacious, Standard Pizza serves delectable pizza-by-the-slice at shockingly reasonable prices. 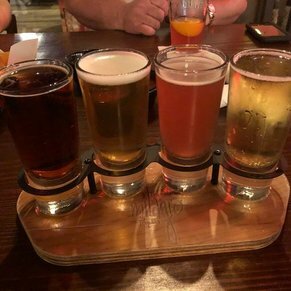 The Biltmore Avenue location boasts a welcoming environment with plenty of space to relax, not to mention, huge slices of mouthwatering pizza and a variety of craft brews. 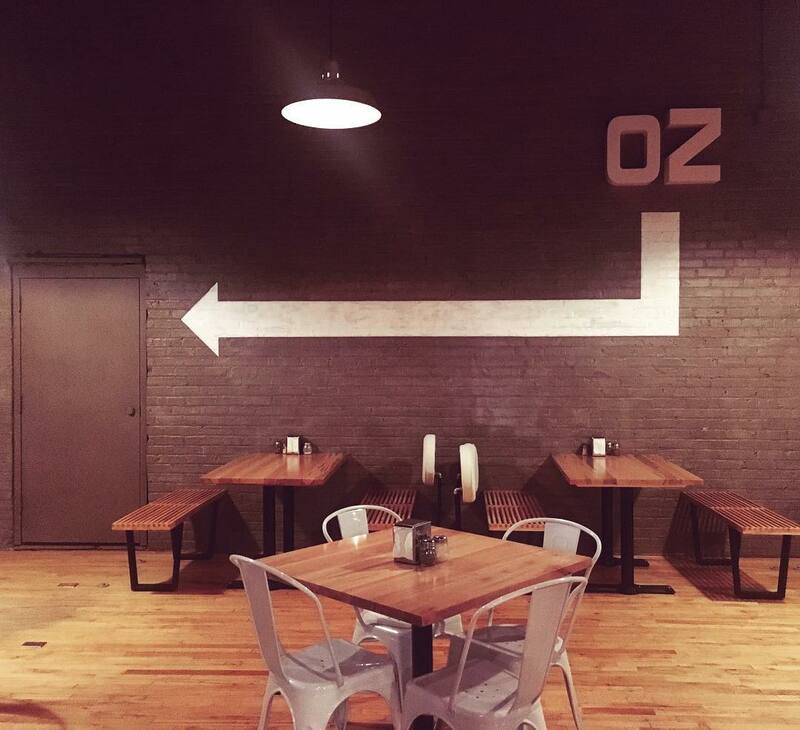 Stop by for a quick slice or stay for a rousing game of ping pong. 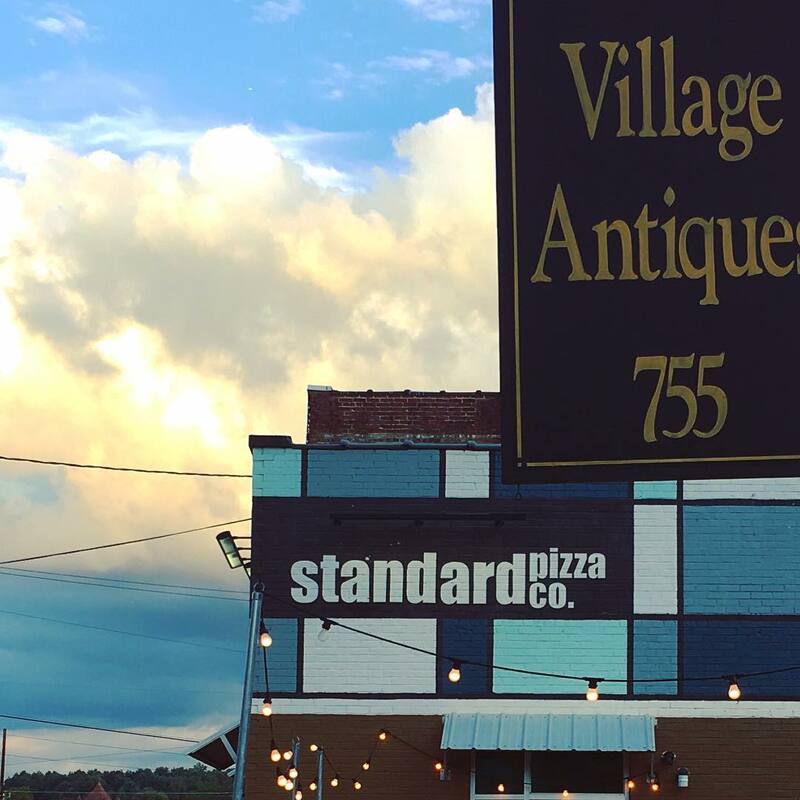 Despite its name, Standard Pizza is anything but ordinary. This beloved Asheville restaurant brings a unique approach to pizza, with toppings clearly taking precedence over cheese. The crust can’t be described as thick or thin; it lies somewhere in the middle, making it ideal for those who don’t like their pizza too crisp or too bready. Several visitors describe the flavor as ‘garlicy.’ The pizza’s fresh garlic pleases some, but others find it overwhelming. 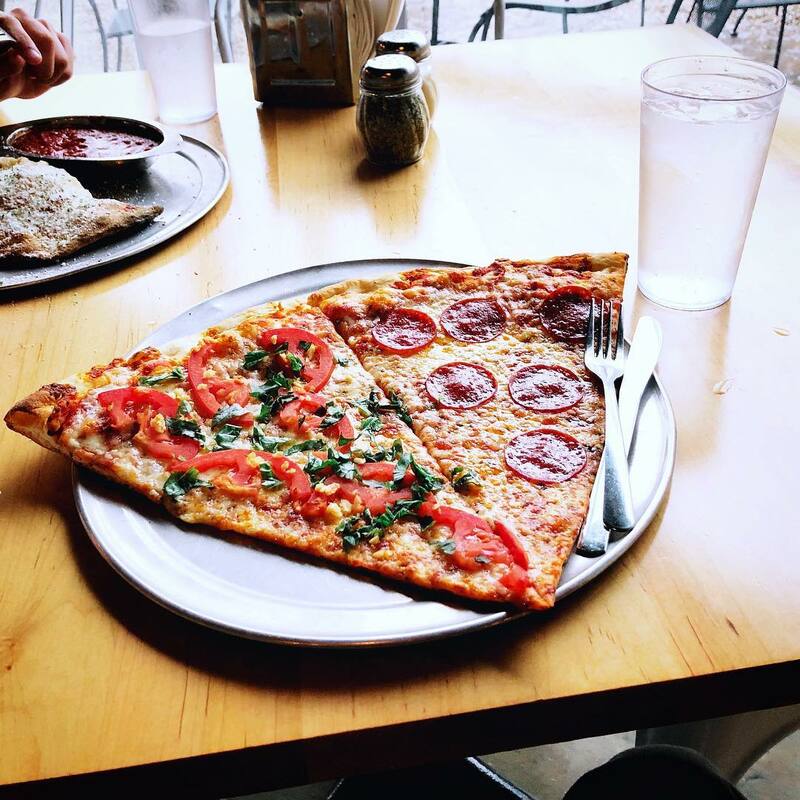 Standard’s pizza slices are huge, so be sure to arrive with a big appetite. 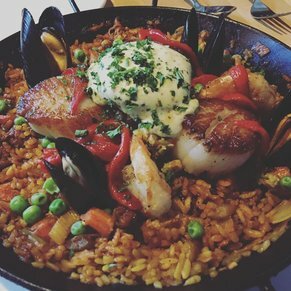 One piece should be plenty for most guests — but with so many great options available, many can’t help but order two. 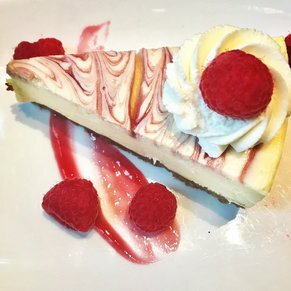 Sheer price makes it even more tempting to order multiple slices; even the restaurant’s fanciest slices cost less than $5. If, for some reason, you’re not in the mood for pizza, you’re welcome to order a calzone. These are even more filling than pizza, so don’t hesitate to split one with a friend if you’re not feeling particularly hungry. 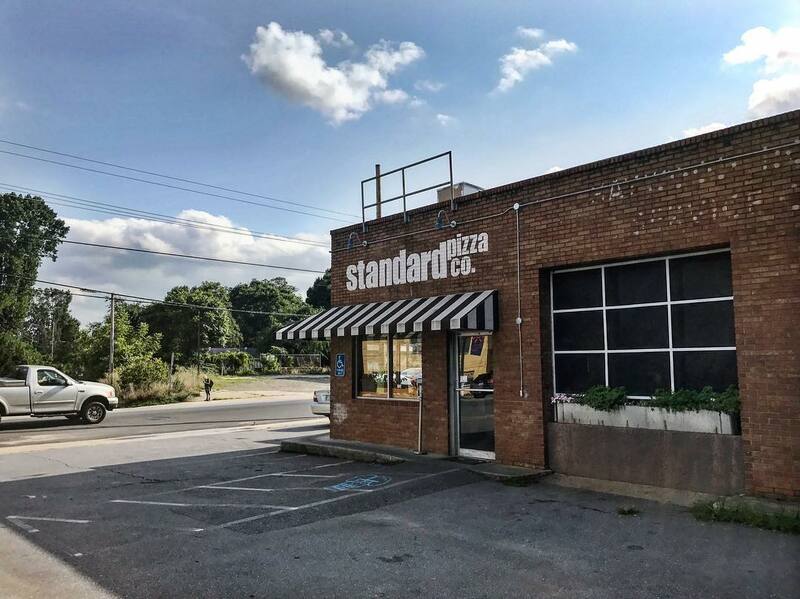 While pizza-by-the-slice establishments tend to be preferable for a quick meal, the inviting atmosphere at Standard will have you eager to stick around for a while. 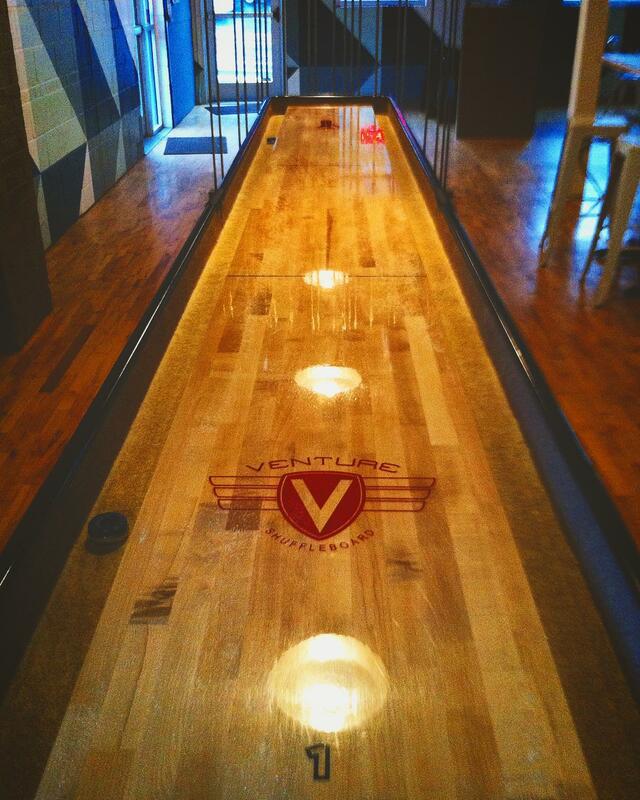 Settle in and enjoy a draft beer or hit up the ping pong table for a quick game with a friend. 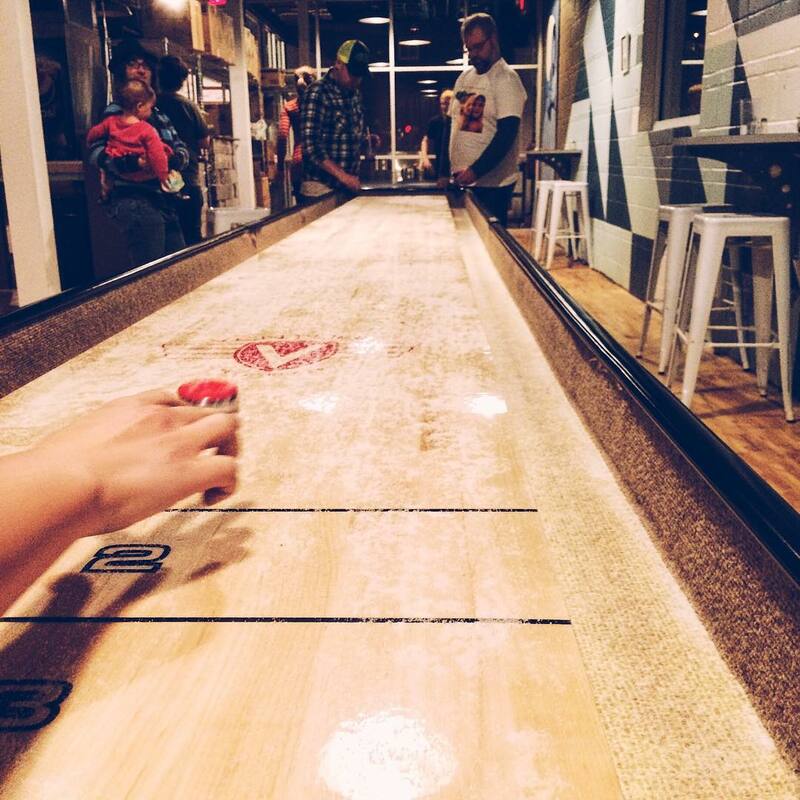 If that’s not entertaining enough, you and your loved ones can also stop by the shuffleboard area for a fun game. 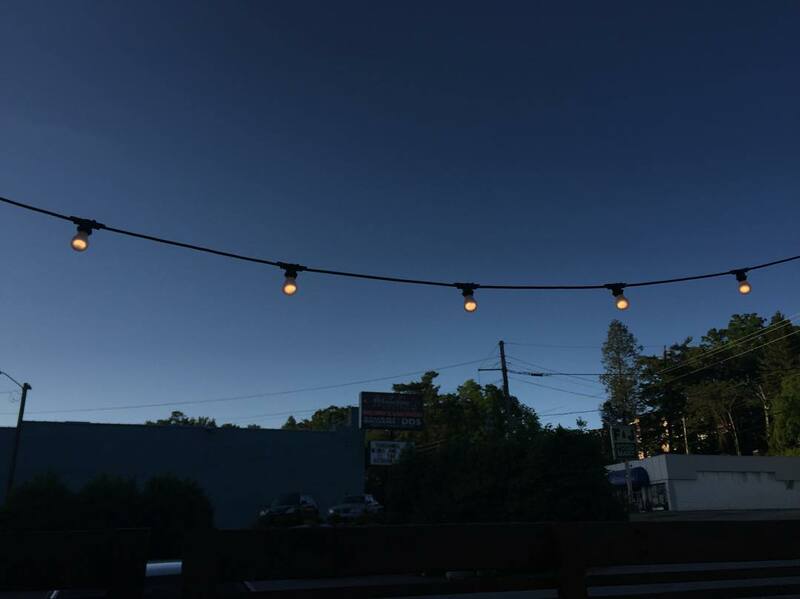 If the weather cooperates, head outside to enjoy your pizza and beer on the patio. If, however, bad weather forces you to stay inside, don’t worry; the spacious interior provides a nice contrast to the often cramped seating of other pizza restaurants. Huge windows let in plenty of natural light. 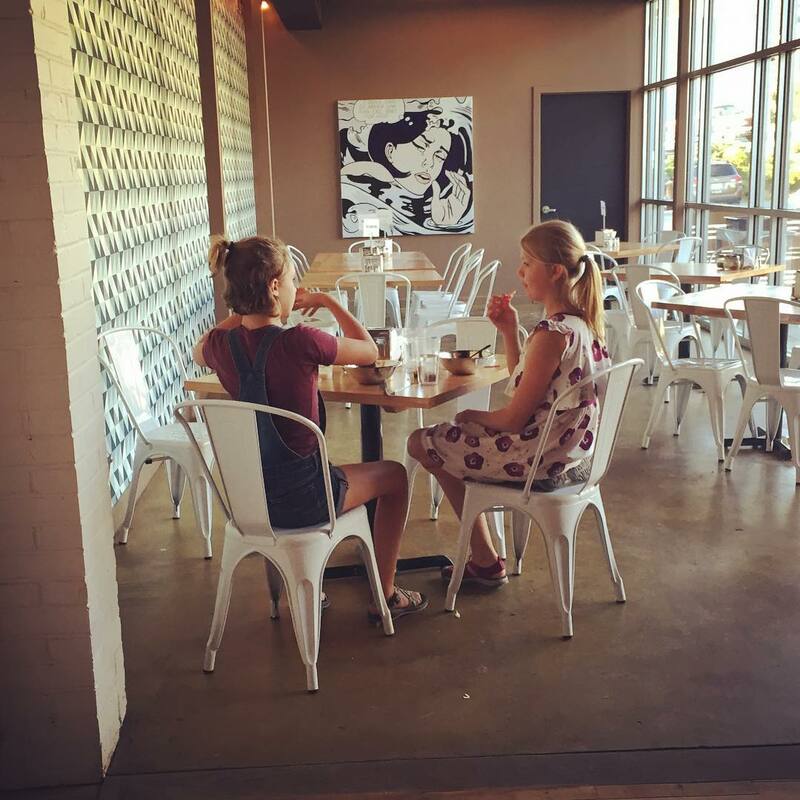 The low prices, ample space, and chill vibes will have you eager to make Standard your go-to outing for family gatherings or celebrations with large groups of friends. Pizza may be the main attraction at Standard, but there’s nothing wrong with ordering a fresh salad. 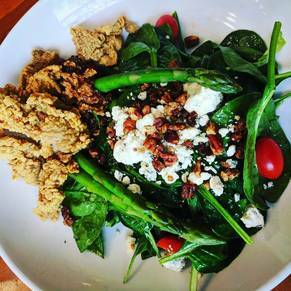 The spinach salad is both tasty and nutritious; it comes with fresh spinach, broccoli, tomato, and feta cheese. 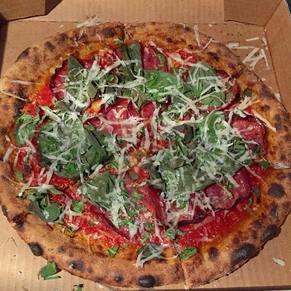 If you desire a classic piece of pizza with all of the best fixings, you’ll adore the Supreme recipe at Standard. Your pizza comes loaded with all of your favorite toppings, including pepperoni, Italian sausage, sliced meatballs, green pepper, green and black olives, onion, and mushroom. Better yet, the Supreme pizza boasts extra cheese. There’s no need to feel guilty about indulging in pizza; simply choose a slice loaded with veggies. You’ll find plenty of healthy ingredients on Standard’s Greek pizza, which includes spinach, artichoke, green and black olives, fresh garlic, and, of course, feta cheese. If you’re feeling adventurous, try Standard’s Cuban pizza. Where else can you find a pizza topped with banana that you actually enjoy? The Cuban also includes bacon, ricotta cheese, and jalapeno to balance out the banana’s sweet flavor. 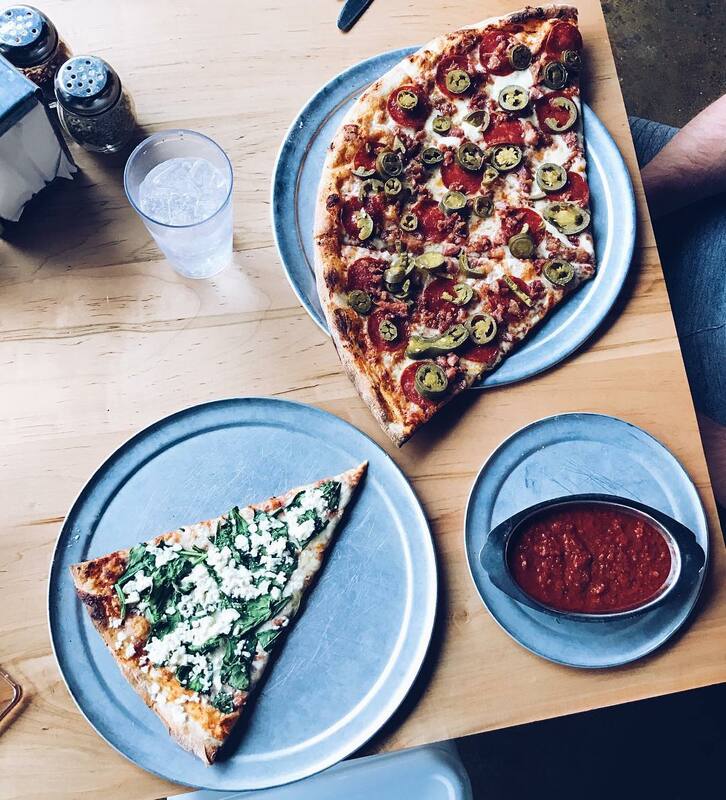 If these options don’t strike your fancy, you can build your own slice. 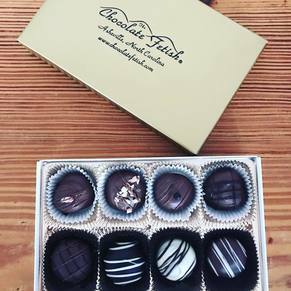 Either way, you’ll crave more as soon as you finish eating. 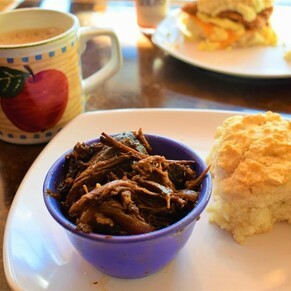 -Although open most days, the Biltmore Avenue location occasionally closes for holidays or employee appreciation day. 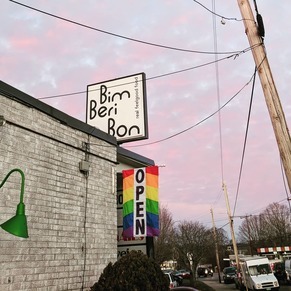 The restaurant’s Facebook page is rarely updated, but closings are typically announced on social media. When in doubt, check the official Facebook page before you visit. -Gluten-free pizzas are available for a small additional charge. Unfortunately, pizza-by-the-slice is not gluten-free; this option is only available for 14-inch pizzas. Still, visitors with restrictive diets appreciate this option. Standard Pizza on Biltmore Ave.